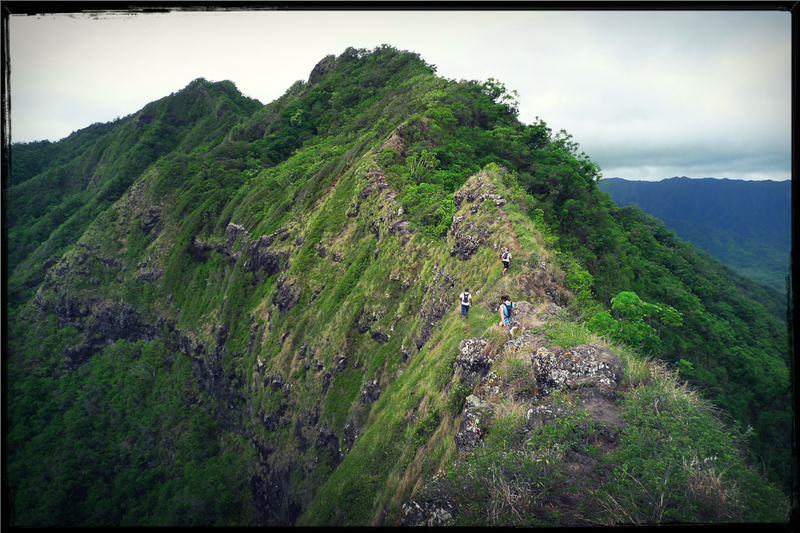 Pu’u Manamana is a mountain on the east side of Oahu that the rock formation called Crouching Lion sits on. 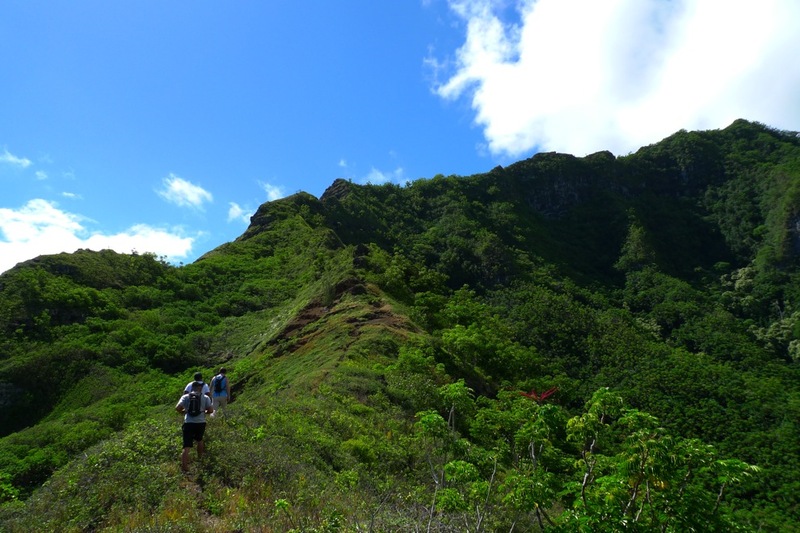 (“Pu’u” by the way, means “hill” or “mount.”) The trail takes you straight up the front of the mountain and along the top ridge. 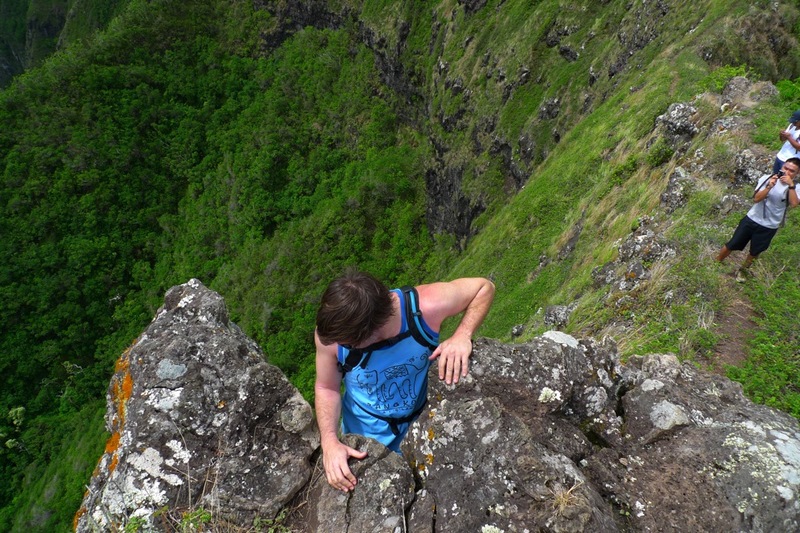 It has the reputation for being one of the most dangerous hikes on the island and has claimed many lives. It took us just over five hours to complete this four mile hike. 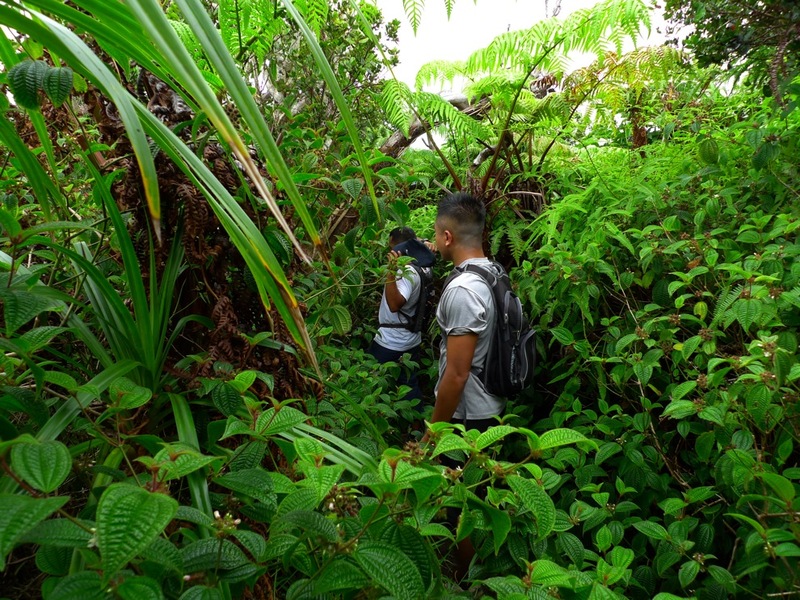 This hike is not easy. 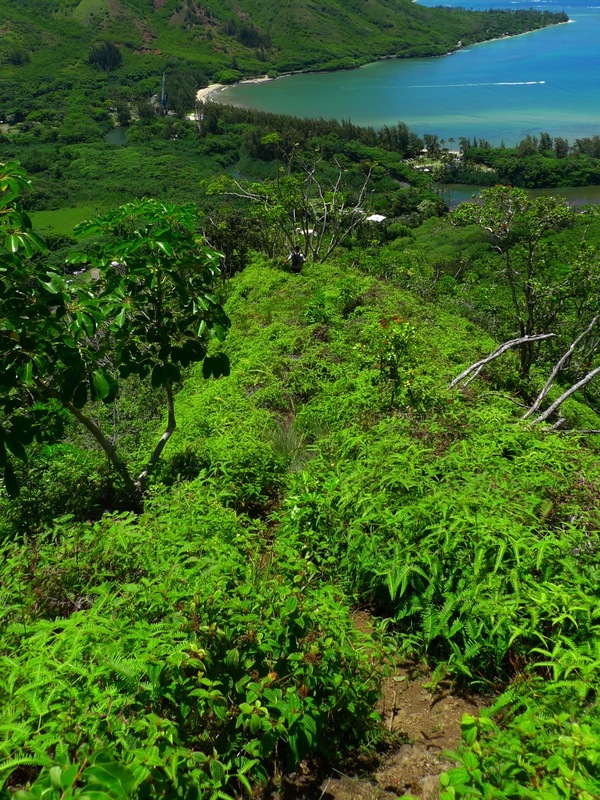 The start is a steep bun-burning incline, the ridge up top is heavily vegetated and overgrown and you come down the mountain on one of the craziest looking trails I’ve hiked on. 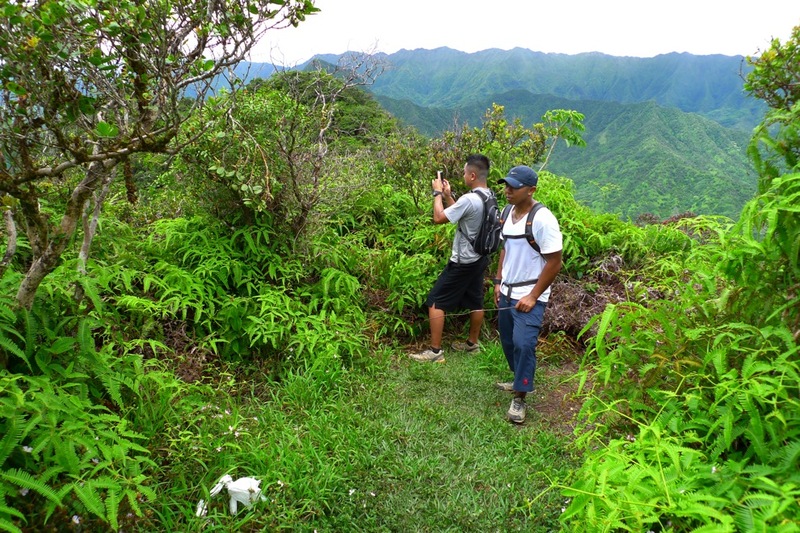 DISCLAIMER: The trail and activity descriptions are given to showcase the beauty of the Hawaii outdoors. This information is not intended to give specific advice on any trail or activity nor is it a recommendation to attempt the trail or activity. The writer and/or publisher of this website is not responsible for any accidents, injuries, rescues, inconvenience, or loss of life by anyone attempting any of the hikes or activities on this website. It is the responsibility of the reader to use common sense and good judgment by interpreting and using the information to safely enjoy any outdoor activities. 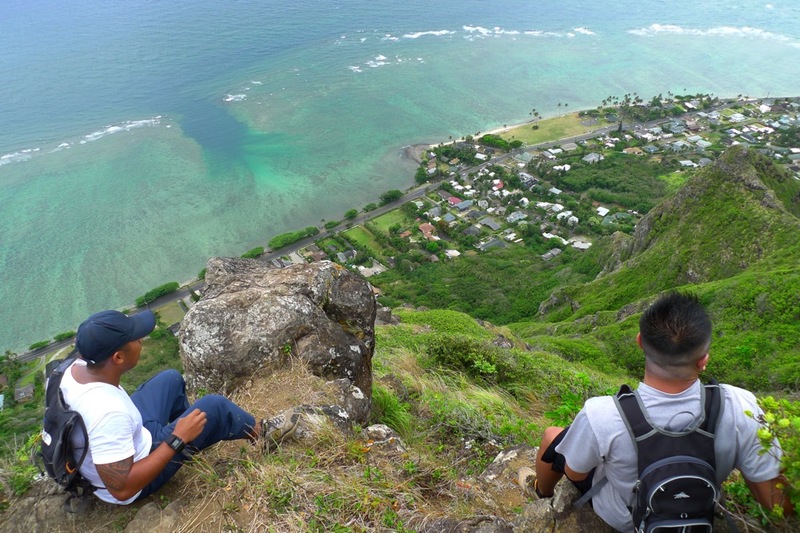 Hiking and any outdoor activity can be dangerous and has many potential hazards. 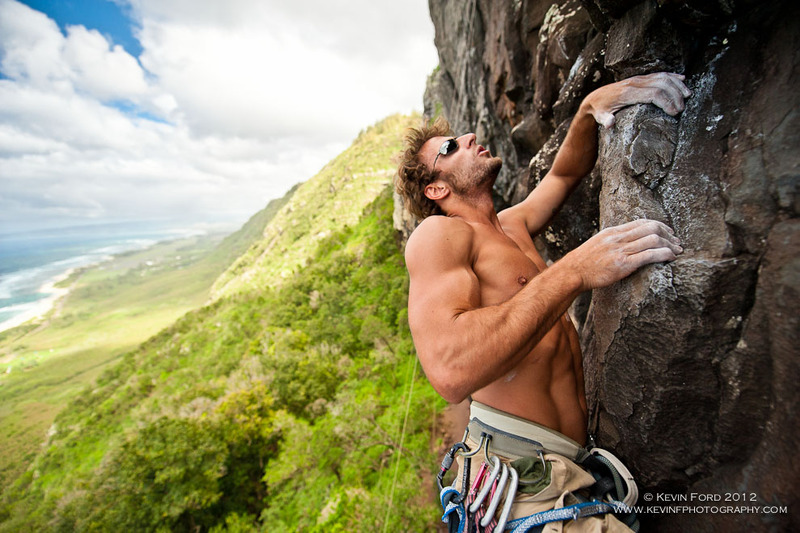 It is up to each individual to know their limits, abilities and level of expertise before attempting any outdoor activity. This is Pu’u Manamana as seen from the North. That little bump at the front of the ridge is “Crouching Lion.” You start around there and then you hike along to top. 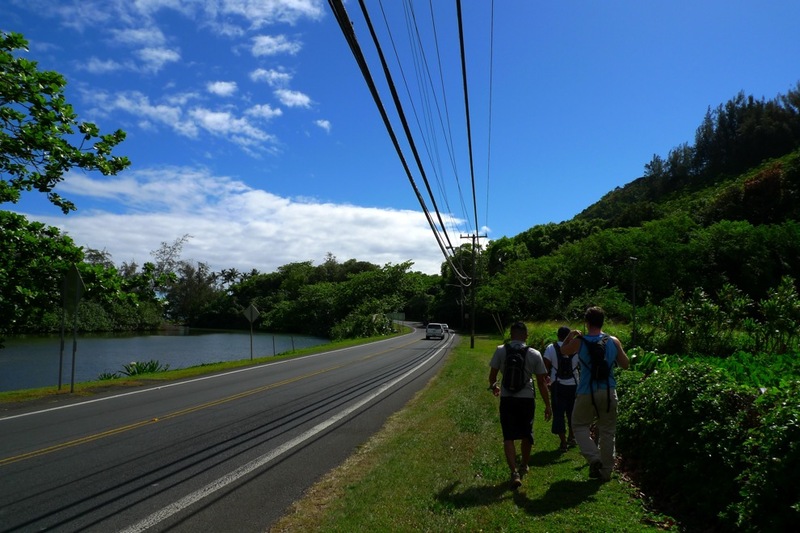 We started by walking along Kamehameha towards the Crouching Lion Inn. There’s no trailhead sign for this hike. Just some pink ribbons. Right from the start you ascend straight up the mountain. No wasting time with switchbacks on this trail. 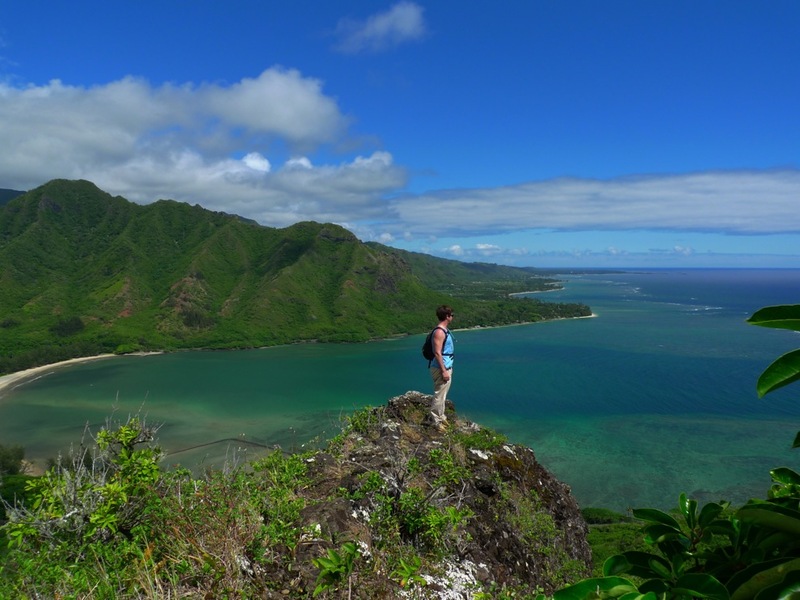 Here’s Jack looking over Kahana Bay. This is what I mean by “straight up.” By the way, there are no ropes on this part. After the first section of the steep ascent there’s finally a resting spot. You can take in a nice view and hydrate. But then it’s onward and upward. 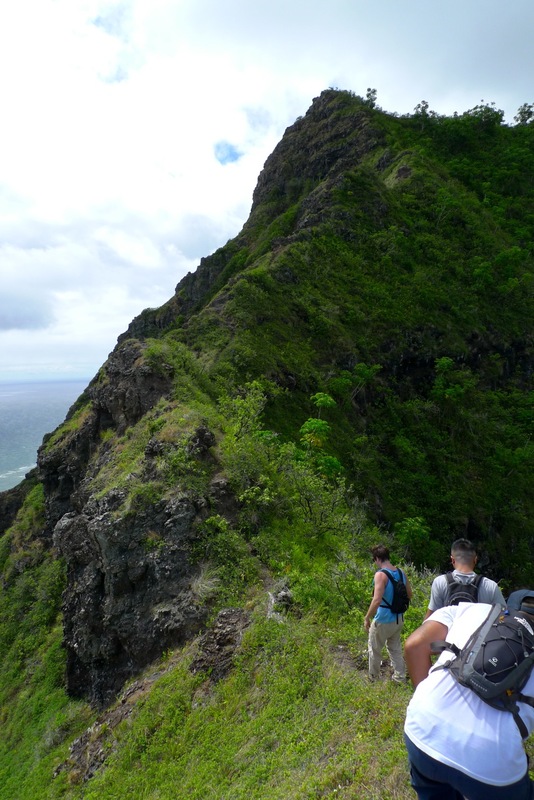 We’re on the narrow ridge here that this hike is famous for. 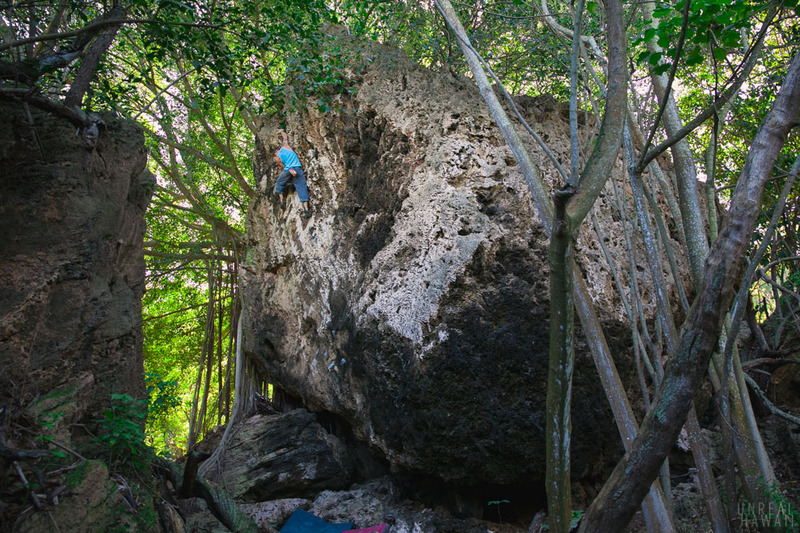 Here’s Jack down-climbing. If you fall, you be pau. So, don’t fall. 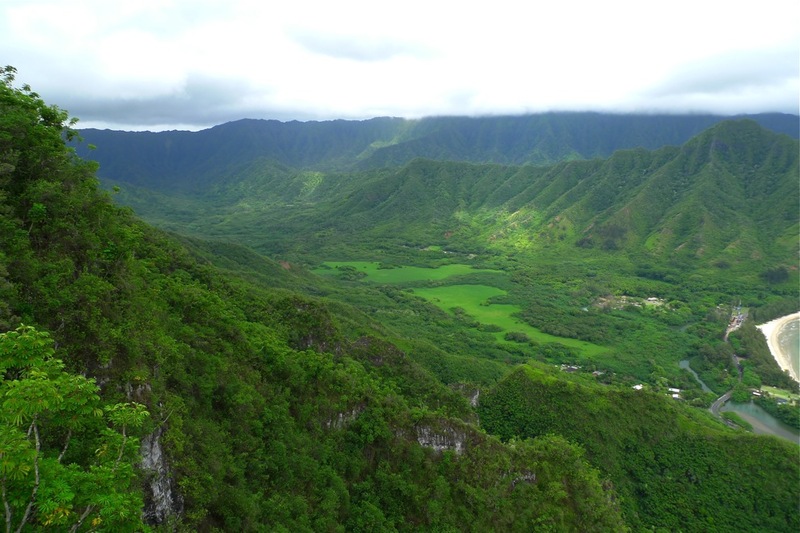 This is Kahana Valley. We’re on the left ridge. 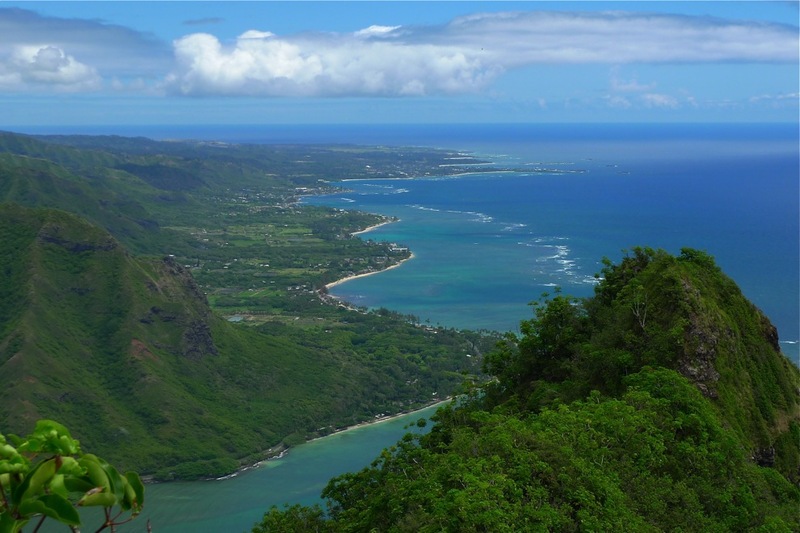 The one across the valley, the right ridge is called Pu’u Pei and is also hikable. We’re a the top of the ridge now and can see all the way up to Laie. I thought this view was pretty cool. But the hike’s not over yet. 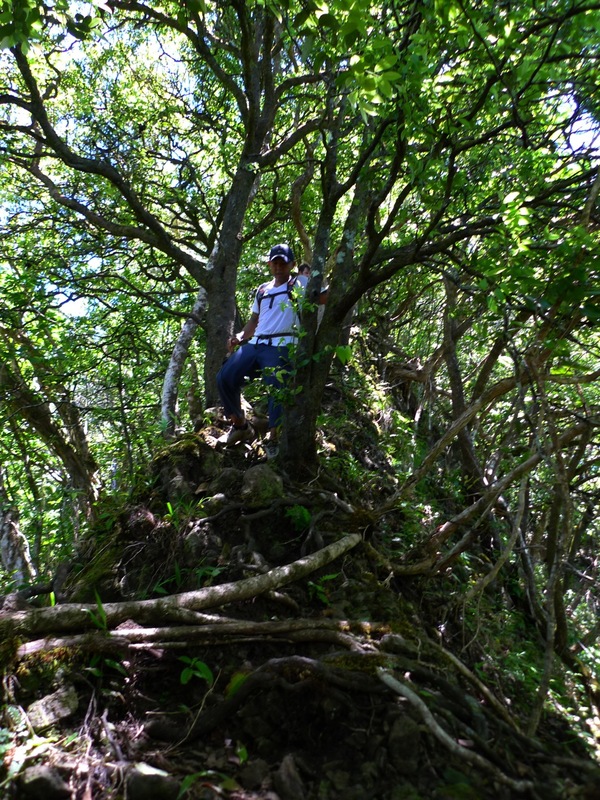 We continue on through dense shrubbery along the top of the ridge. It’s quite over grown. I was lucky enough to read about this before hand and knew to wear long pants. It made this section much more comfortable. And here we are. The end! 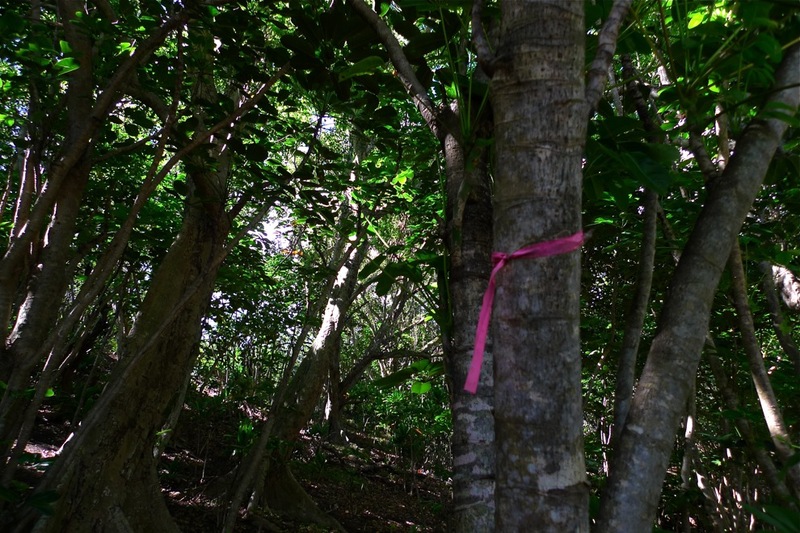 This area is called the “Turnout.” Just before this clearing is a junction of pink ribbons. One trail takes you down the south face of the ridge, one takes you down the north face. Take the trail down the north face. That brings you down “Cemetery Ridge” and, if you parked on Trout Farm Road, back to your car. This is the view from the “Turnout.” Absolutely unreal. 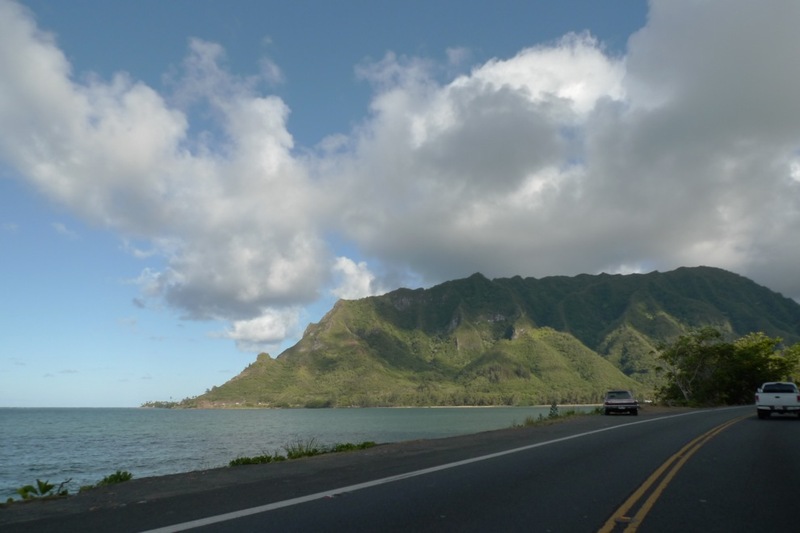 Those Jurassic Park looking mountains are at Kuloua Ranch (where parts of Jurassic Park was filmed). Now we get to head down “Cemetery Ridge.” So named because it ends at the bottom of the mountain at a very old cemetery. This is the trail here. Yep. 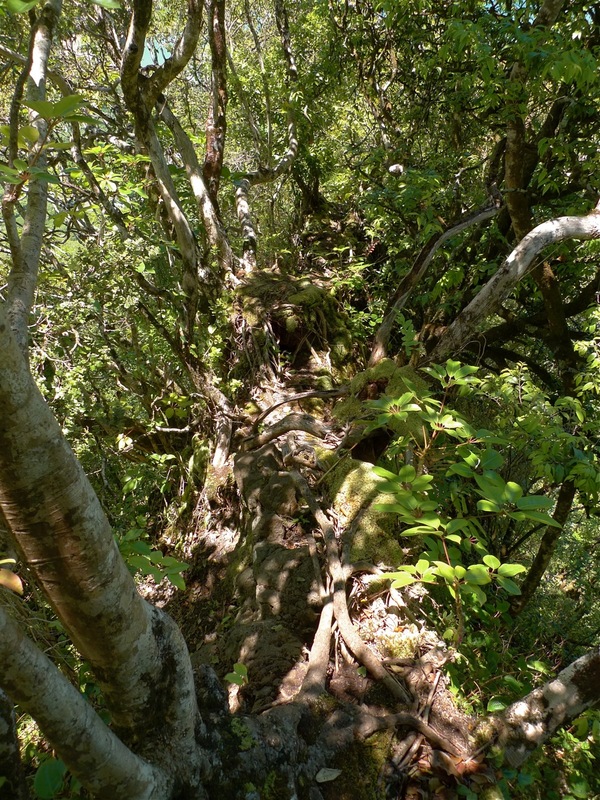 You’re walking on a 2 to 3 foot wide ridge that’s covered in tangled roots and moss. It was awesome. Then it opens up as you make your way down the final stretch of the ridge. You end up in the cemetery just 50 yards or so from the road you parked on and will finally get to rest your jelly legs. If you’re experience was anything like ours, the number one thing on your mind at this point is a nice cold Gatorade. Well, just a few minutes up the road is Ching’s store and Shrimp Shack. It’s the perfect spot to get a nice cold drink and quick bite to eat. You’ll want some energy in you because there are some nice beaches around here. Like many hikes, parking is tricky. Use your best judgement or get dropped off. Do not park on Trout Farm Rd. It’s a private road and you will be towed. 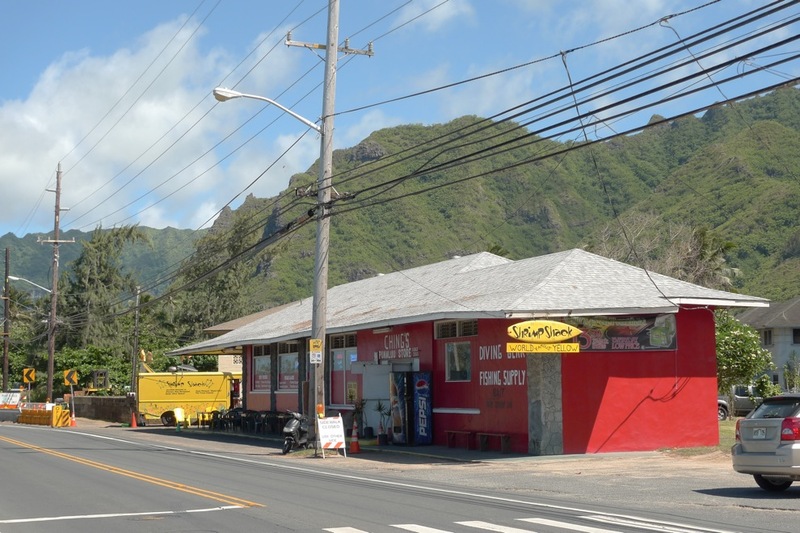 I have heard it’s possible to park near the bus stop over there or by Huilua Fishpond. Again, use your best judgement and park at your own risk. 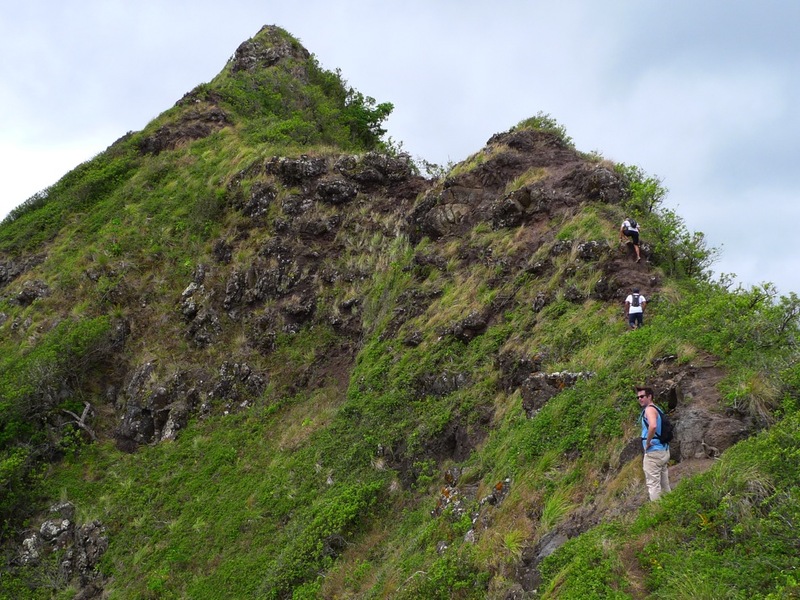 Dangerous Hawaii Hiking: The Pu’u Manamana Trail, By Dale Turner – This article has directions to the hike. I printed it out and referred to it several times throughout our hike. 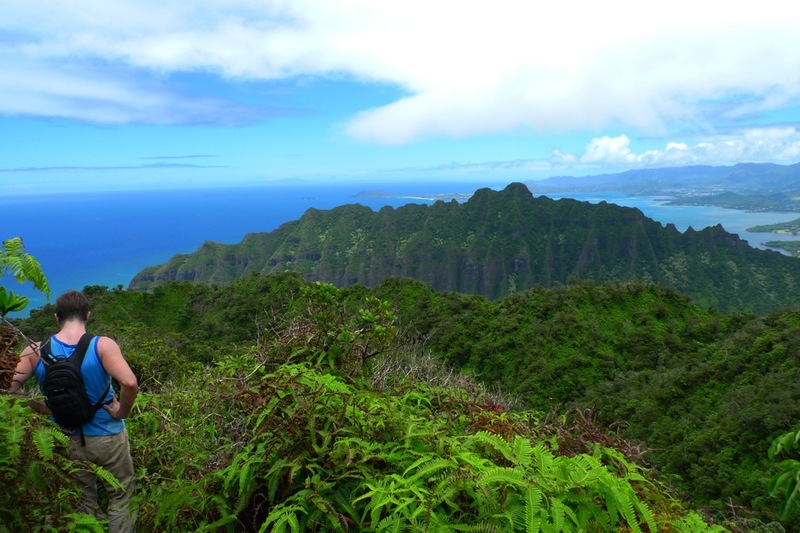 Pu’u Manamana on Island Trails – This is the blog post that inspired me to check do the hike in the first place.